8 Nov 2010, formed doji / hanging man? Will it retrace down to support level? 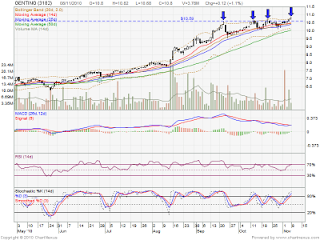 Retest RM10.59 as support level. Estimate Genting Singapore will announce their Quarter Result around Mid of November. if the result above expectation, as mother stock, Genting Berhad sure will get the positive injection boost up the stock price & create new high. 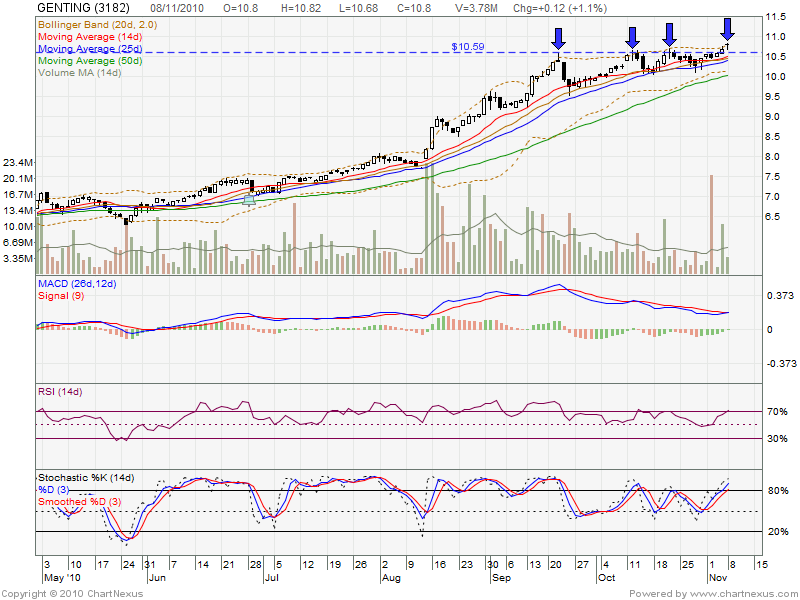 However, if below expectation, it will future retrace down. Let watch closely for opportunity to entry.